Two weeks. 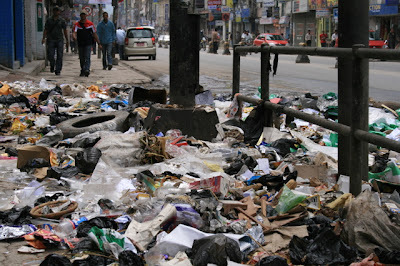 That’s how long Kathmandu’s waste collectors have been on strike now. The city’s starting to stink. Streets full of garbage. Rotting in the blazing midday sun. Soaking up the late afternoon showers. Lovely.